These relaxed-fit trousers have a double hook-and-eye closure with reinforced double knees and bar tacks at all stress areas. They feature a back elastic waistband, are coated with DuPont Teflon® & come with Velcro® flap closures. These relaxed-fit trousers from Propper have a double hook-and-eye closure with reinforced double knees and bar tacks at all stress areas. Women's pants feature a back elastic waistband. 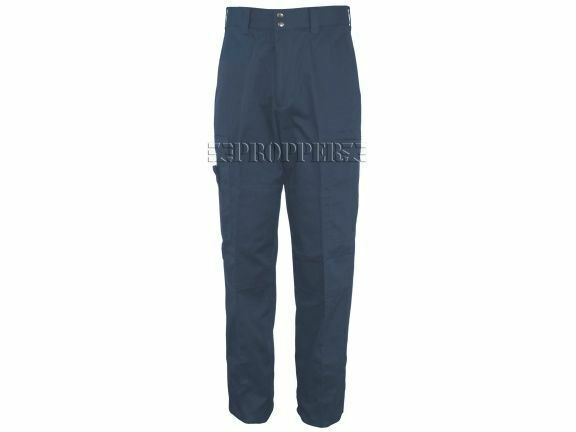 This 65% polyester / 35% cotton twill trouser are coated with DuPont Teflon® and also come with Velcro® flap closures. Available unhemmed in sizes 6-24.